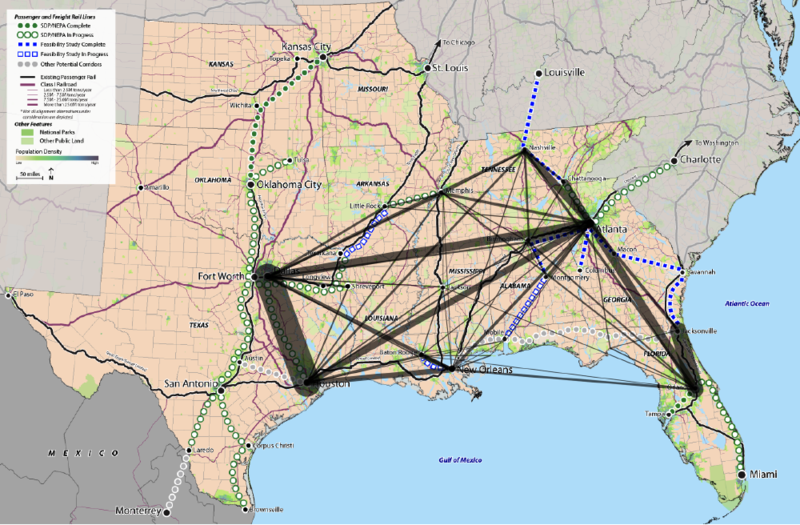 The Southern Rail Commission, the New Orleans Regional Planning Commission and the Federal Railroad Administration hosted more than 50 transportation thought leaders from Alabama, Georgia, Mississippi, Louisiana, Texas, Florida and Tennessee. 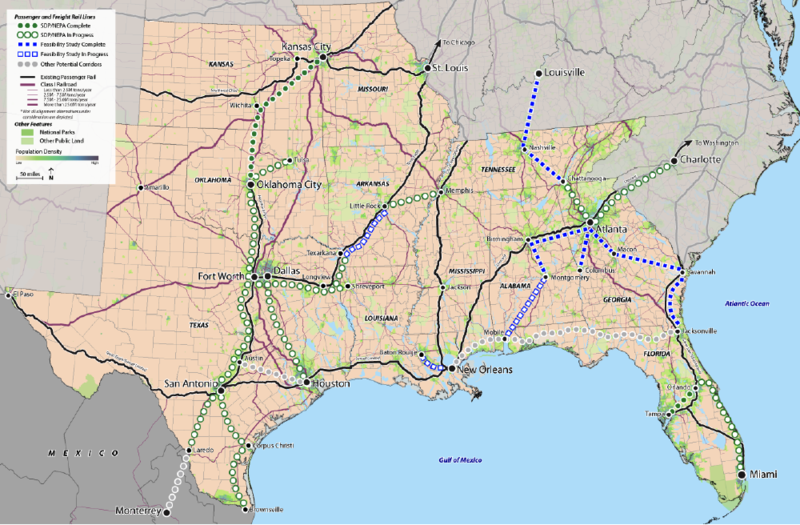 This map shows the existing, proposed and studied railways throughout the Southeast region. This overlay shows trends in the movement of people between major Southeast metro areas. 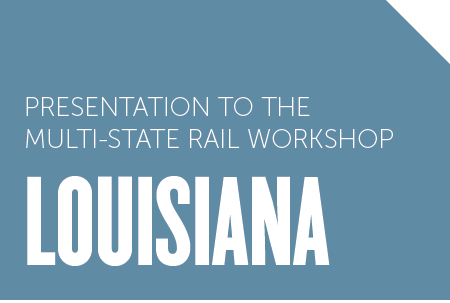 Download the presentations given during the workshop to better understand the priorities and issues facing each state in the region.